As one of the top players in CBD industry, Elixinol reviews amazingly well! The strong potentials in CBDs is causing a mini revolution in health – which means many are on the wagon to put product out fast, often with little attention to quality. Elixinol is not one of these companies. With a great product range and even products that we haven’t found anywhere else, we tested Elixinol for ourselves and here is our full review. Elixinol, utilizing CBD hemp oil derived from the stalk and stem portion of industrial plants, is unlike most other hemp products made. It’s specifically cultured to contain a high concentration of naturally occurring CBD, or cannabinoids – which link up with the human endocannabinoid system to help bring bodies back to balance and homeostasis. This brand promises numerous health benefits, for example, promoting positive nutritional levels and the health of vital organs like your heart and skin. In addition, it can also reduce the symptoms of PMS, help with digestive problems and even mood imbalances. A unique product not often offered is Hemp Protein to help your protein levels comport well with muscle-building objectives – for those looking for growth after a workout. Because it’s formula is plant-based, the protein levels in this product are considerably healthier. Other impressive products we found were the Elixinol X-Pen (1000 mg) and the Edibites CBD dog treats – which come in 6 flavors, 2 of which are specially formulated for large breeds. Attention to detail in these 2 products really impressed us. The X-Pen brings a unique product to the game! For those who travel a lot and are concerned about spillage and/or a higher level of discretion, the X-Pen is a hermetically sealed unit with its extract in a vaccuum. This also eliminates contaminates and air from producing within the product chamber. Each click delivers an exact dosage in an easy to carry “pen”. Elixinol Review: We Tried it! We enjoyed 5 mg of Elixinol CBD Tincture (Cinnamint Flavor) daily and noticed an instant feeling of relaxation. Mood swings dwindled to nil. It felt akin to using marijuana sans the feeling of being “stoned”, which makes sense as there is the absence of a THC-induced high. Users of this product claim less seizures due to epilepsy and diminished levels of chronic pain. Although we weren’t able to test this product for these types of conditions, we carry no skepticism as we’ve already known the product to have powerful body balancing qualities, with no side effect. We achieved results and just plain, felt good! No pharmaceutical pill has left us with that naturally pleasant healing feeling as Elixinol CBD Tincture did. Managing reputation and quality Elixinol.com maintains that same theme with it's pricing which is to no surprise that Elixinol is pricier than the rest. Some of the latest deals and offerings from Elixinol; For a 300 mg smaller bottle, the price is around $59.99 while the 3600 mg bottle runs about $296. If you are just curious to try it, we recommend purchasing the smaller bottle at $59.99, before investing in the bulk option. 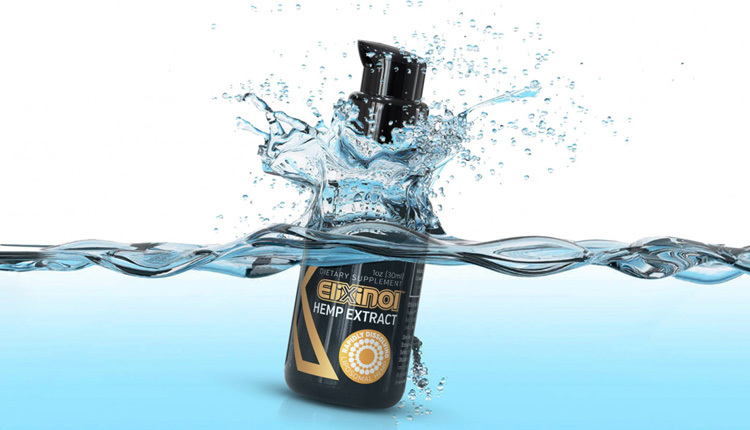 Though Elixinol is more expensive than others, it definitely earned its status as one of the elite manufacturers of CBD products. Also, at the time of this writing, many bottles were on sale. To counteract CBDs high prices, consider microdosing or sticking to a steady daily dose which has become really popular with CBD and THC users alike recently – especially those who are seeking general overall wellness and balance. But also consider that at every purchase you can choose from a handful of charities that Elixinol has partnered with – they will donate 5% of your purchase price! Something that may incentivize shoppers like us to choose them over other cbd brands. Make sure you also visit the informative “Education” section on the site. It really carries the discussions and answers for every FAQ I’ve seen about CBD when you're in the market to buy CBD products. Elixinol serves as a company that customers can stick with indefinitely. With its diverse product range, it’s attention to quality, and its customers’ health education needs there’s little reason to take your loyalty anywhere else.